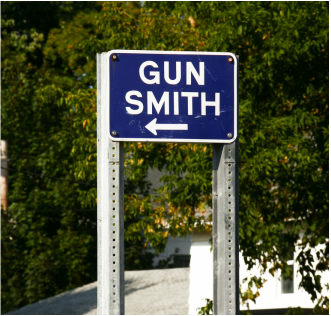 Gun At First Sight, LLC was formed with the intention of providing a higher level of personalized customer service far beyond what you would find at your "typical" gun shop. Owner/Operator Ralph Liguori is a National Rifle Association certified Pistol Shooting Instructor, Range Safety Officer and certified gunsmith through the American Gunsmithing Institute's Master Gunsmith Program. The program emphasizes design, function, and repair of a wide range of firearms from revolvers and semi-automatic handguns to shotguns and rifles. My philosophy is that firearm education is essential and there are no stupid questions about guns, gun safety, and gun rights. I believes that if more people had the proper education about firearms, less people would be so intimidated by them. Whether you are experienced with firearms or new to the gun culture, I want to help with true information and proper education about all aspects of firearms. I want to be your personal gun consultant and assist you with all your firearm needs, no matter how big or small. From practical to tactical to tacticool, I can get you the firearm you want and the training you need to be safe and proficient. I want to be your go-to gun guy. "If I don't know it, or can't do it, I'll help you find someone who can."